The latest example is the aptly titled show "Shrill," with six episodes streaming on Hulu -- now owned 60 percent by Disney, 30 percent by Comcast and 10 percent by Time Warner. "Shrill" is mostly a show about "fat acceptance," about learning to love yourself even if the world looks at you and thinks you're unattractive or unhealthy. Bullying or shaming fat people is bad. But it's not as bad as aborting an unborn child. Annie, the main character in "Shrill" -- played by "Saturday Night Live" cast member Aidy Bryant -- gets an abortion in the first 20 minutes of the first episode. It's portrayed as a wonderful event yet as casual as getting a tooth removed. 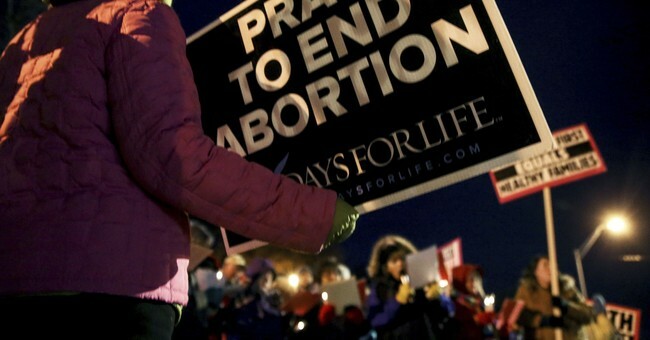 After the abortion, a friend asks Annie how she feels now that her womb is empty. "I feel ... really, really good. ... I got myself into this huge f---ing mess, but I made a decision, only for me, for myself, and I got myself out of it. ... I feel very f---ing powerful right now. And I just feel like I need to go out." Her friend replies, "Do it, b----. I love you." That's quite a euphemism -- "fearless self discovery."